We already partially inform you about upcoming Yeti successor, and now we are back with more info. The official debut is scheduled for May 18 this year, so a couple of days away, but Czechs has been evidently highly excited about it treating us with some teaser pictures and additional info before complete revelation happens. Mentioned date of the introduction is one thing and the actual opportunity to get one of these vehicles is another, for which you’ll have to be patient for several more months when it should start filling the dealer’s lots. WHAT DO THE TEASERS SAY? Well, the one depicting 2018 Skoda Karoq in the dark suggest that stylish part of it is about to lay on LED lights shoulders. As we see, the headlights, daytime lights, and fog lights are all LED treated and their housing incorporates pack of evenly distributed grooves causing nice visual illumination effect. Rear lights are C-shaped and also carry LED tech, along with stylish diamond pattern inside. LED recipe for tail lights is supposed to come as standard, while same treatment for ones on the front is part of the options list. Teasers were not just about the Karoq’s way of illumination. Some of them gave us an insight of the cabin. One is showing us the area around the gearbox assuring us that DSG dual-clutch automatic shifter with manual mode is about to be offered along with AWD, which we already knew. Other teaser focused on the digital part of it. It reveals infotainment touchscreen that seems narrower than optional 8-inch unit from Kodiaq and it lacks physical knobs. Surrounded with differently styled vents, in general, part of the dash in question appears more elegant than one used in bigger brother. On the left side of the picture, we can clearly see the use of digital instruments or downscaled version of Audi’s Virtual Cockpit used by other brands withing VW Group. Below the mentioned screen we can see part of climate controls which seems to replicated ones used in Kodiaq and for the end we can conclude that Karoq is about to offer some LED ambient lighting. Skoda has been kind enough to release some info along with teasing us with pictures. 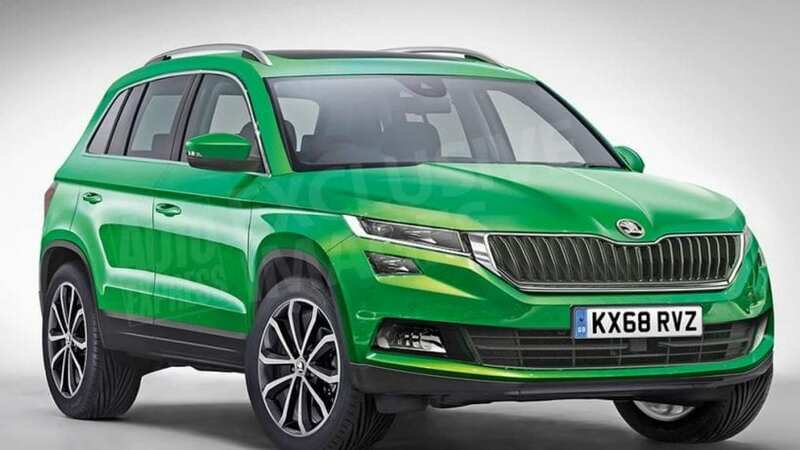 So, 2018 Skoda Karoq will be 4,382 mm long, 1,841 mm wide and 1,605 mm high (172.5×72.4×63.2 inches). 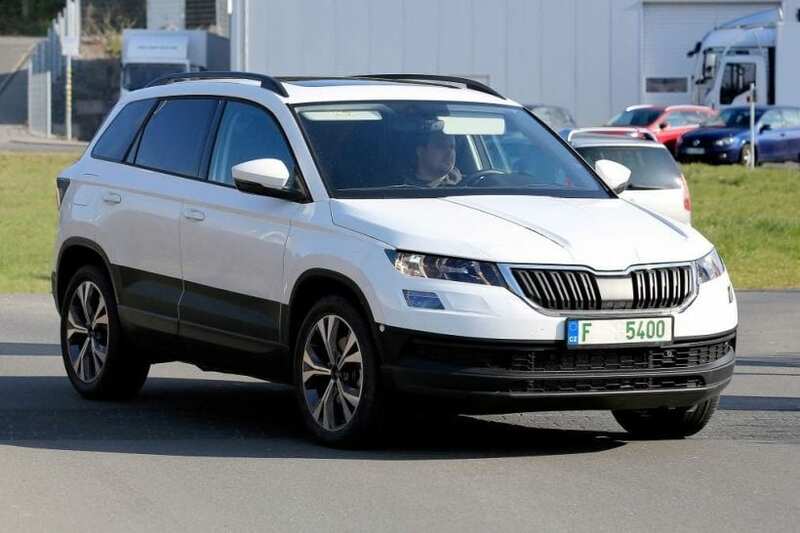 That means that despite it is Skoda and despite that Kodiaq is expectedly openly protruding mid-size SUV segment with its size figures, in which it doesn’t belong, compact Karoq is actually going to be compact and smaller than many rivals. But Czechs’s enormous boot tradition will carry over with cargo space of 521 liters (18.3 cu ft), making the past rumor of 488 liters (17 cu ft) that we mentioned in the previous story unreliable. Evidently trunk capacity is about to rule the class along with Peugeot 3008 which offers exactly the same figure in this department. Price is not yet announced, so we will stick with our previous estimation of around ₤18k ($23k) for a start in Britain.